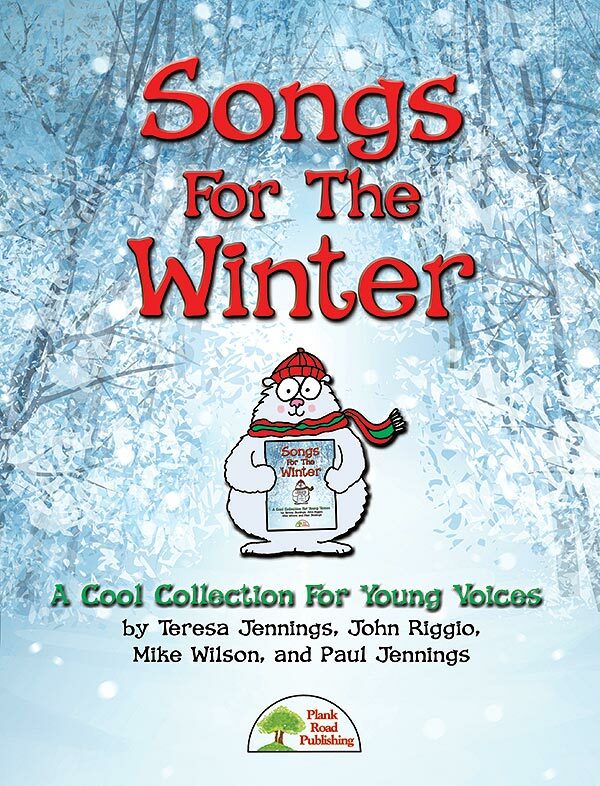 No matter where you live or what you enjoy doing, the winter season gives you lots to sing about. Yes, winter is full of big holiday celebrations, but more and more teachers are asking for songs that are just about winter and the unique life we lead that time of year. As always, our terrific writers have crafted a wide variety of songs to fill your singers lives with great music. These are songs that your students and audiences will enjoy for years to come. First Day Of Winter - Here's a fun and cross curricular way to celebrate the start of the winter season. This song is upbeat, happy, and full of high energy. The melody line isn't too difficult, and the chorus has a memorable hook. While this song about the winter solstice is sung from the perspective of the northern hemisphere, our friends in the southern hemisphere can easily change the lyrics and rhythms to fit where you live. Here Comes The Snow - This unique pop hybrid tune requires a bit of musical finesse, but the challenge is fun. While part 2 is optional, the inclusion is what makes it so great. Each part attacks the word "snow" like a bell being struck. When done together, the effect is striking. The pounding "4 on the floor" pulse gives way to a floating halftime beat, and the use of the stomps and claps gives it a unique sound. Winter Is Coming - This clever original partner song has become a classic, with each of its two memorable melodies weaving a lighthearted story of the season set to a softshoe rhythmic background. Put them together the third time through and it's great fun for singers and audiences alike. Snowman, Where'd You Go? - What a mystery! The snowman was just there a while ago and now he's gone. Your students will have fun with the "clues" to his disappearance – a sunny day and a carrot on the ground. The song is completely in unison, so you can use it with a variety of class levels. The sleek, jazzy accompaniment on the recording will make any group sound cool. Footprints In The Snow - Kids will love this lighthearted, silly song. It conjures up such amusing imagery, uses sound effects, and it's a fun one for your students to act out. You can assign every line to a different speaker or divide everything between a few, but let your students show off their acting skills. For The Winter - Here is a song about seeing the first signs of winter and the feeling you get when you know it's time to say goodbye to the beauty of fall. It's written in a cool jazz waltz style. Your first impression might lead you to believe this is a difficult song to perform, but if you focus on the vocal line, you'll hear that it is very straightforward and scale oriented. A Silly Winter Song - The main goal of this lighthearted winter tune is to give your beginning guitar students a chance to show off their skills with the 4-string chords C, G, and D7. There is also an easy, optional recorder part you can add, if you like. Of course, you can just sing the song for its own charm, and there is also an optional second part. By mid-winter, a bit of levity is always welcome. Winter In America - "Winter In America" extols the beauty of diverse winters in the same land. You say it's not snowing where you are in January? No problem. We've got you covered. This song is a fairly rhythm and wind intensive tune, so the piano/vocal score will serve mostly as a reference and rehearsal tool. There is a lot of repetition in the vocal melody which should help students when learning the three different verses. A Perfect Winter Day - Bonus Song! - Humor might be just the ticket for rounding out your winter program this year! It seems that everyone knows someone who can't stand the season, while others simply adore it. This original partner song gives your students a chance to state both cases with a little silliness and a little fun.